While we have had no incidences, it seems the bottles are not up to par and some have burst during use. Chefs we know have actually adpated the product for other carbonated uses with sauces and more…but I digress here. For the home user, it’s important to know this product has been recalled. The recall, conducted in cooperation with the US Consumer Product Safety Commission (CPSC,) was prompted by reports of nine recent incidents in which the Twist ‘n Sparkle plastic bottle, produced by an outside subcontractor, burst during normal use. In a few cases, there were minor injuries to the persons operating the product. Upon immediate investigation, iSi North America identified a potential safety hazard in the bottle design in the initial production run of the plastic bottles used to house the carbonation process of the Twist ‘n Sparkle device. The design of the bottle structure itself may compromise the integrity of the product. Although the design has been changed for subsequent runs, iSi North America considers public safety paramount and therefore is instituting the total recall.For more information regarding the recall, consumers should call (800) 645-3595 -available 24-hours a day, seven days a week – or visit www.twistnsparkle.com. 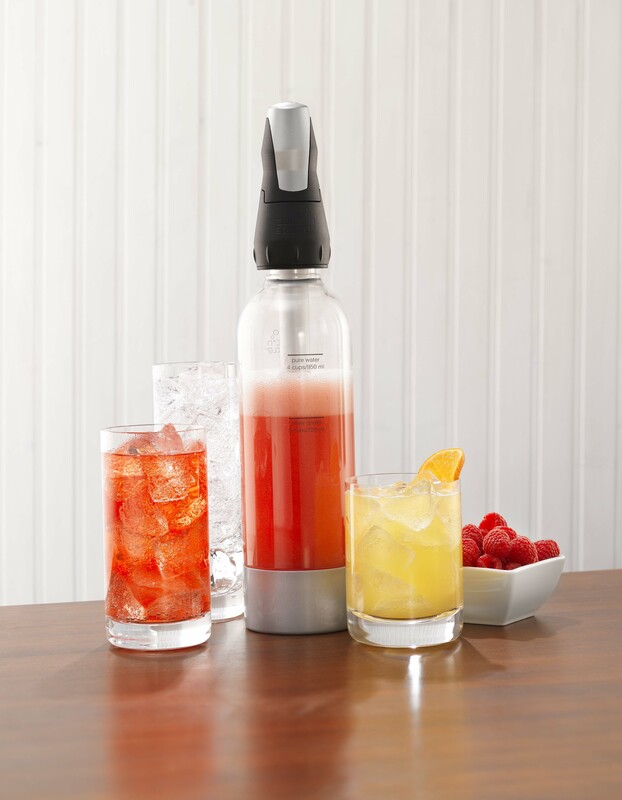 And for the purposes of soda-making we highly recommend the Soda Stream, a well-priced product with great results. We’re finally rolling on many of our programs here in Blue Ridge! We’re starting on product testing so we’ll have lots of great ideas to equip your kitchen and homes – And some products you may want to skip. Plus great travel ideas and daily posts from The Cook’s Farm. Here is our latest newsletter in case you want to sign up! 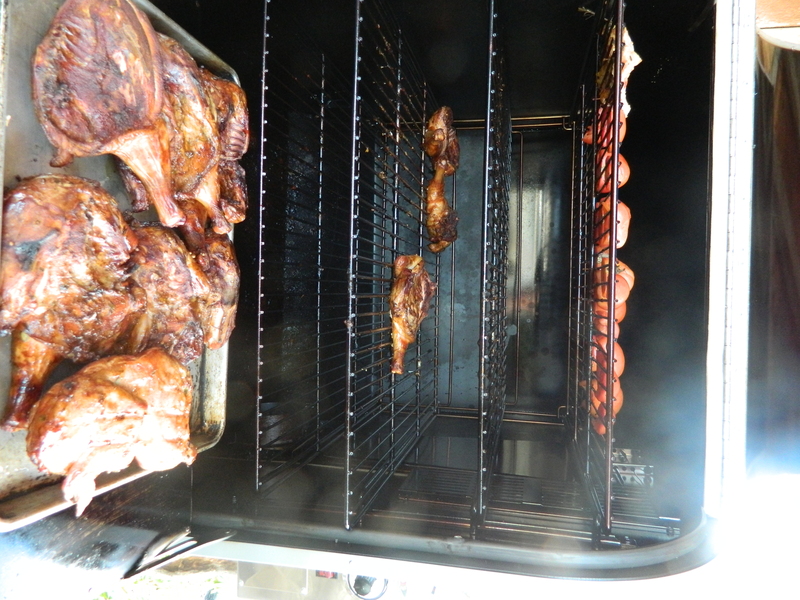 We’ve been testing out this really cool smoker for a week now. It’s amazing all the product you can create – not just ribs. In fact, we were nearly ready with our new Winter menus when Danny and I found ourselves staring into the mouth of the Ole Hickory Tri Convecture Smoker. Now, my clothes are nearly smokey edible all day long. After the first day of testing, I needed three days of salads and bright green vegetables to make my blood flow again. Now, I have learned moderation. Still, I could go for a smoked chicken salad sandwich…ah, time to head down to the kitchen. We’ve worked on blogs before, but never focused on getting one done on a daily or weekly basis. This one is finally the real deal. Danny and I have traveled the world – separately and together. And settled in this gorgeous Appalachian mountain town of Blue Ridge, Georgia, where we operate a restaurant. Now, we’re in the midst of opening The Cooks Farm, a farm-to-table cooking school in the heart of town. So stay tuned.